Gone are those times when smartphones were limited to a certain segment of premium users who could afford to buy a phone worth Rs. 30000 or above. Thanks to the evolution of technology and lots of Chinese competitors entering in India, users now have the flexibility to choose their desired mobile from an exceptional range of available options. While there are numerous choices in different price segment but mobiles priced between Rs. 10000 to Rs. 15000 price range are most preferred among Indian consumers. That's because various smartphone makers are now shipping their focus from low to mid-range phones with very good hardware specifications and superior design, including the likes of Samsung, LG, Asus, Lenovo, Motorola, Xiaomi, Micromax, Coolpad, Gionee, Huawei's Honor and more. Perhaps, this makes them the best value for money phones in an affordable budget. That said, below is the price list of 301 mobiles that was last updated on 19th April 2019. 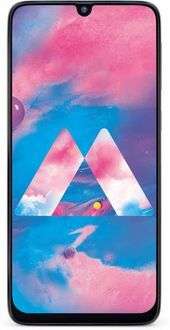 Most of the above devices feature a metal body design, 5.5-inch Full HD display, a powerful and efficient processor from MediaTek or Qualcomm, Android OS, 4G VoLTE, 13MP rear camera, and a 3000mAh battery. The RAM usually ranges between 3GB to 4GB and internal storage is either 16GB, 32GB or 64GB depending on the chosen variant. Mostly all have dual SIM support, but those with a Hybrid SIM tray can't use secondary SIM if a microSD card is in use. Some phones also feature dual rear cameras that help in taking bokeh shots with a nice blurry background. Mobile phones under Rs. 15000 are easily available to buy online across various eCommerce sites such as Flipkart, Amazon, and TataCliq. Interested buyers can filter the relevant devices and can also compare the shortlisted devices. To find out the store that offers the lowest price for the product, use our price comparison tool. The tool compares prices on various stores and shows the store that offers the best deal. A new leak shows that the Lenovo K5X will be powered by Qualcomm's dependable mid-range chipset Snapdragon 636. The octa-core processor is popular among mid-range phones, and is said to be paired with a 6GB RAM in the Lenovo K5X. Apparently, there will be three storage options: 32GB, 64GB, and 128GB. The display will be FHD+ but there is no news on the size of it yet. Leaked images show that there will be no notch, and possibly a dual front camera. HTC has introduced the Desire 12s in Taiwan, pricing it at TWD 5,990 (INR 13,600 approx) for the standard model with 3GB of RAM and 32GB of storage. The device is powered by a Qualcomm Snapdragon 435 chipset, and has a 13MP single rear camera. It gets a 5.7-inch HD+ display with full bezels in the 18:9 aspect ratio, and a 3075mAh battery.